“It was a memorable celebration for our St. Sophia family,” says Ellen Yakimyshyn, Past Chair of St. Sophia Church Council. On Sunday, July 8, 2018, the north side of Sherwood Park’s Baseline Road at Range Road 224 was a busy corner. On this day, a about 60 people watched the sod turned and land blessed, initiating the building of a new church in the Ukrainian Catholic Eparchy of Edmonton. Construction of St. Sophia Ukrainian Catholic Church, a 12,500 square foot facility, begins on July 21. The church and multipurpose structure was conceptualized to serve more than the current 150 families in Sherwood Park and the surrounding area. It is expected to open its doors in April of 2019. Parishioners look forward to attracting young families in Sherwood Park and the surrounding area in addition to a good cross-section of faithful from other demographics. With this goal in mind, a children’s Divine Liturgy is held in English on the first Sunday of the month. A Sunday school program is offered on the remaining Sundays of the month. The Ukrainian language is promoted on the last Sunday of the month with Ukrainian responses within the Divine Liturgy. 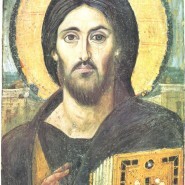 St. Sophia parishioners have not forgotten the primary purpose of the Church: to live our Christian life helping others. Their outreach program, Happiness Is Helping Others (HIHO), reaches out to the community and parish members with charitable donations, transportation, elder care and a prayer chain. As often happens, the following year Bishop David’s path turned. 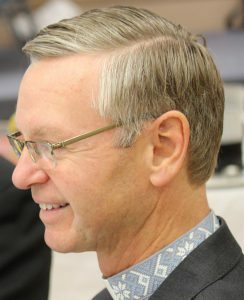 He was appointed Auxiliary Bishop of the Archeparchy of Winnipeg. 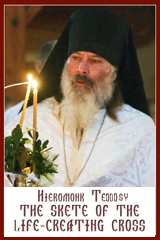 This appointment was followed by his ordination as Bishop of the Ukrainian Eparchy of Edmonton in January of 2007. Asked what he finds most inspiring about this new parish, Bishop David notes it “is that it was a grass roots movement, stemming from a genuine desire on the part of a handful of people who wanted to build a parish and have a place to worship and share their faith with their children and grandchildren in their own community. St. Sophia has held Divine Liturgies in various locations in Sherwood Park. The parish community is currently hosted at Madonna School, 1500 Main Blvd., Sherwood Park, Alberta. Why Sherwood Park? “Sherwood Park is a growing and dynamic community, serving well beyond its borders throughout the County of Strathcona,” says Bishop David. “It is a catch basin for Saint Sophia Parish. Many of us work, study, and play in our communities; and many parishioners simply want to pray in their own community. The beautiful Byzantine architecture of the church and hall will be a beacon calling the faithful, existing and those who will join the parish. In conclusion, “the parishioners know well that they have their work cut out for them. It takes a lot of energy and money to build the parish church. Many parishioners have already stepped up with the time, talent and treasure to make the construction a reality. Some are praying to win the lottery! Others are honing up on their pyrohy-making (perogies in Polish) skills! St. Sophia parishioners are actively fundraising through events like a buy-a-brick campaign, ongoing pyrohy-making and sales, an annual Malanka, golf tournament, New Year’s festival, pyrohy supper, and a fall dinner, dance and silent auction.